This comes after ESB chief executive Pat O’Doherty suggested that carrying out the necessary structural and repair works to the 680 ft high twin stacks may not be the best use of resources. The two chimneys have been in place since the 1970s. That in view of recent reports that the ESB is considering the demolition of the Iconic Poolbeg chimneys that this Committee agrees to reinitiate the proposal to include these chimneys on the list of protected structures. They’re the first thing you see when you’re arriving into Dublin and the last thing you see when you’re leaving. They’ve also been part of pop culture. U2 had them in one of their music videos. They are stitched into the culture. The critical thing from our point of view is that people realise it is a review, and we will be consulting widely before any decision is made. There are absolutely no definites at the moment. Speaking in The Irish Times, O’Doherty said: “Some view their 40-year presence on the Dublin skyline as iconic; other as a blight on the landscape”. It has been suggested that the chimneys could potentially be developed as a landmark for Dublin. Designer Michael Ó Mara has outlined a proposal to change the chimneys into an iconic spectacle by developing them and installing a museum into their base. 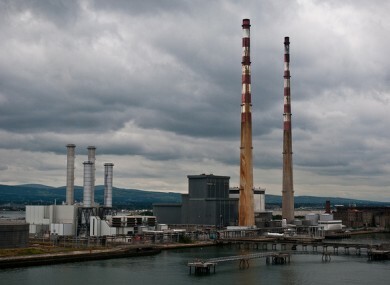 READ: Poll: Should the Poolbeg chimneys be demolished? Email “No decision made (yet) about the future of the Poolbeg chimneys ”. Feedback on “No decision made (yet) about the future of the Poolbeg chimneys ”.